All grants from the Community Foundation of Northeast Iowa and its Affiliates are applied for through the Online Grant Site. The information below will help you navigate the online system. Bookmark the login page for easy access to your grant applications and the grant report forms. For a quick and easy overview of the Online Grant Site, check out this video. If your organization has an account, log in using the email and password. If you have a fiscal sponsor you must apply through their account. See Applicants with Fiscal Sponsors (below) for more information. If you are uncertain that your organization has an account – maybe someone from your organization applied a few years ago – contact us and we can confirm if there's an existing account and help you log into it. It's easier to check before you apply than to find out after you erroneously set up a second account. If your organization has never applied for a grant through the Foundation's website before, you can go ahead and create an account. You'll need to have your organization's information, including your Tax Exempt Number (EIN), and the primary contact's information. Once you set up an account for an organization, you can edit the primary contact's information but not the organization's information. If something was entered incorrectly or if there's a name or address change for the organization, please contact us and we'll make the updates. At any time you can save a draft of your application by clicking "Save as Draft" at the bottom of the application page. You will be able to return to your application at a later time by simply logging back in and clicking Edit Application. If you wish to save or print a copy of your application or the questions asked click on the 'Application Packet' and 'Questions List'. Clicking these links will create a .pdf file which you can save and print. The application packet will include your answers; the questions list will only print the questions. The online system will automatically log you out after a period of inactivity. Make sure to save your files often. IMPORTANT NOTE: To upload files to your application, we highly recommend converting your files to .pdf files before uploading. Word, Excel, or .jpg files will be acceptable. If you have only hard copies, please scan your file as .pdf. If you don't have access to a scanner, most public libraries provide a scanner as part of their services. Additionally, you can click the “Fax to File" link on the left-hand menu for instructions on how to fax your document to create a .pdf file. If the fiscal sponsor provides you with access to their account, do not edit any contact information on the account as there could be various applicants using one account (for example, in the case of a city or school). The fiscal sponsor will be responsible for disseminating all information to you. Once you have logged into the online grant system click on the Apply link located on left menu, under Requests. You will be directed to the Application Page which will list all Community Foundation's currently open applications. If you do not see the Community Foundation application you are looking for, the application is not yet available, or the deadline to submit an application may have already passed. Click on the appropriate Community Foundation grant application. You will be taken directly to the application. At this point you can fill out the entire application and submit it, or you can work on it and then save the application in draft form. To submit or save in a draft form scroll to the end of the application where you will see options to follow either route. Once you click Submit Form, your application will be reviewed by the programs department at the Community Foundation of Northeast Iowa for completeness and meeting eligibility requirements.  If there are any questions about your application you will be contacted by the Community Foundation. If changes need to be made to your application it can be moved back to draft form – as long as it is still before the deadline -- which will allow you to access your application and edit it as needed. You should receive an immediate, automatic e-mail reply after submitting your application. ALL future correspondence regarding this grant will be sent to the main e-mail address entered in your organization account. Make sure this is the e-mail address of the organizations main contact person – an authorized signer. If you are a classroom, sports team, or a school as part of a school district you must apply through the district's account. For example, do not set up an account for Ms. Smith's Third Grade Class. Instead, apply through the account established with the school district. If you are a department of a city or a county, you must apply through the city or county's account. For example, the do not set up an account Anytown Fire Department. Instead, apply through the account established with the City of Anytown. If you are an organization with multiple locations, but sharing one EIN (employee identification number), then you will have only one account in the Online Grant Site. If you still have questions please contact the Programs Department at the Community Foundation.